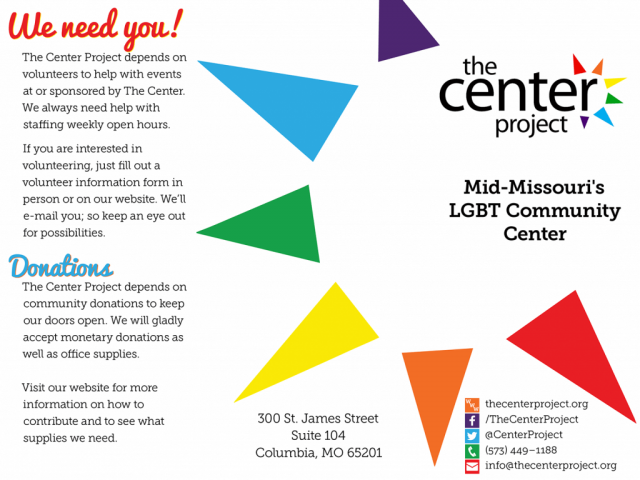 The Center Project is an LGBT community center in Columbia, Missouri. Many groups use the Center as a meeting space, and it’s become a spot to make friends and to find yourself. 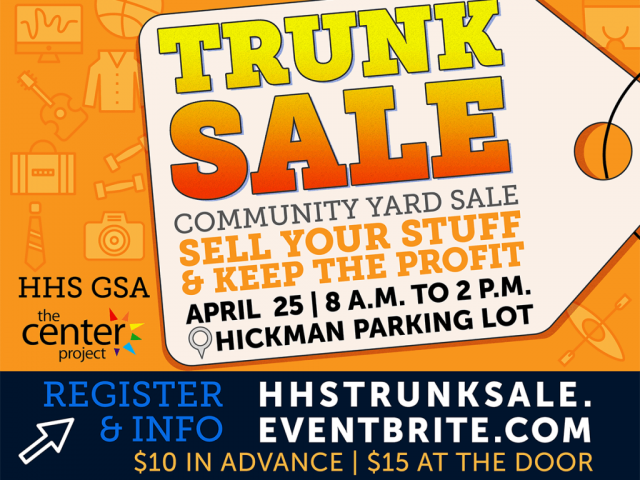 It’s also becoming a popular spot for information sessions about health, health insurance, legal issues, and political policies that affect all people. 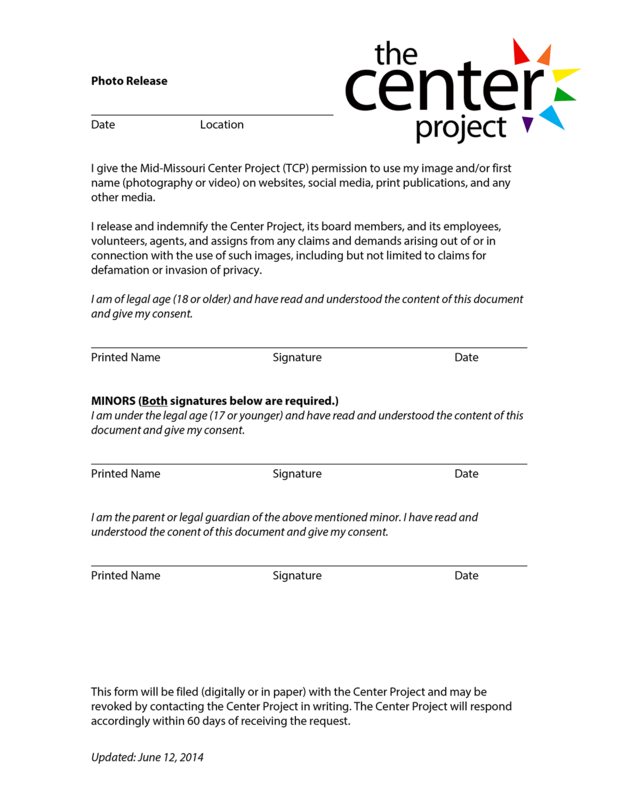 Last year, I recreated Center’s website in WordPress for easy updates, improved accessibility, and optimized speed and SEO: thecenterproject.org. 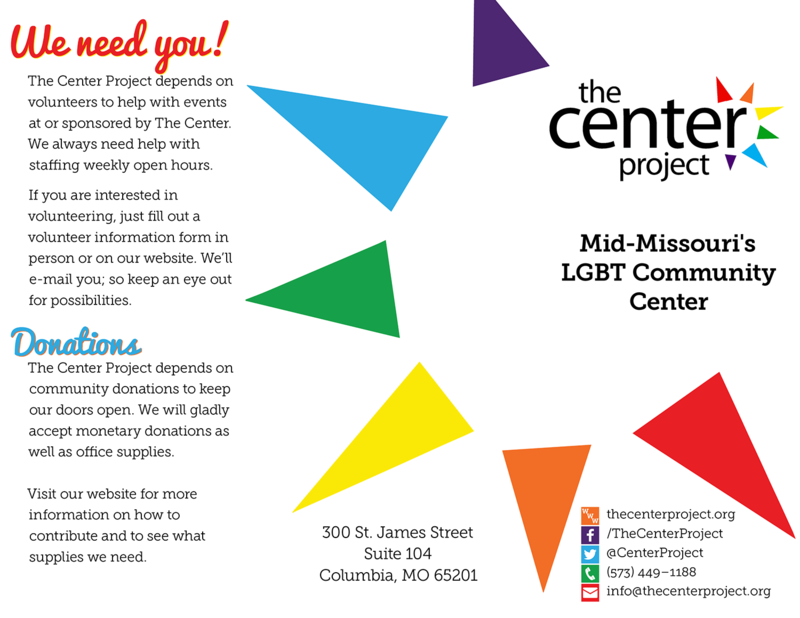 I have also written and designed promotional materials for the Center. 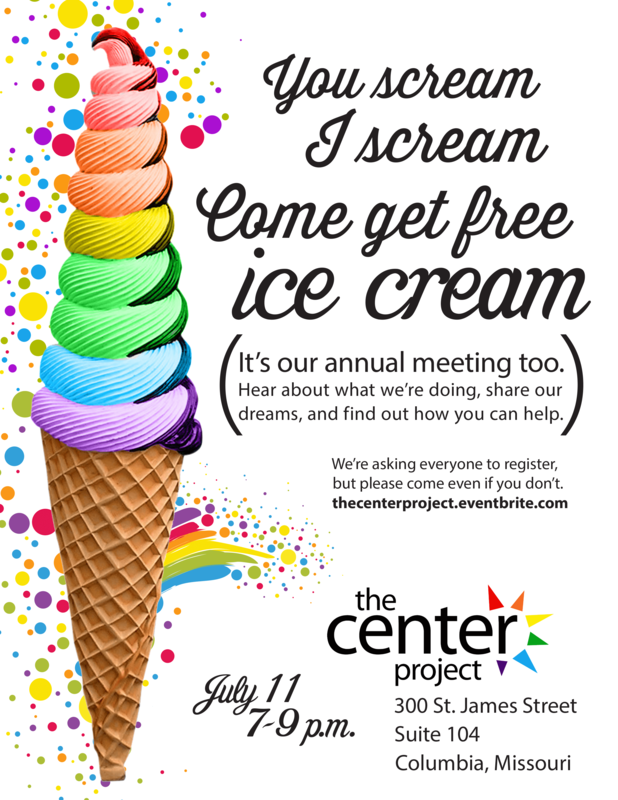 Happy 10th birthday, The Center Project! 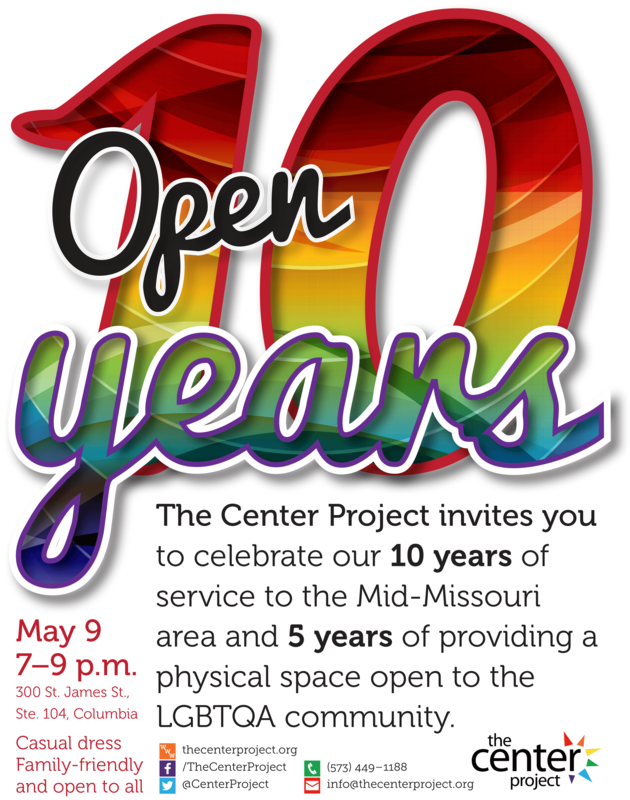 That’s a decade of service to the LGBTQAA community of Mid-Missouri and five years of providing a physical space for related community events. 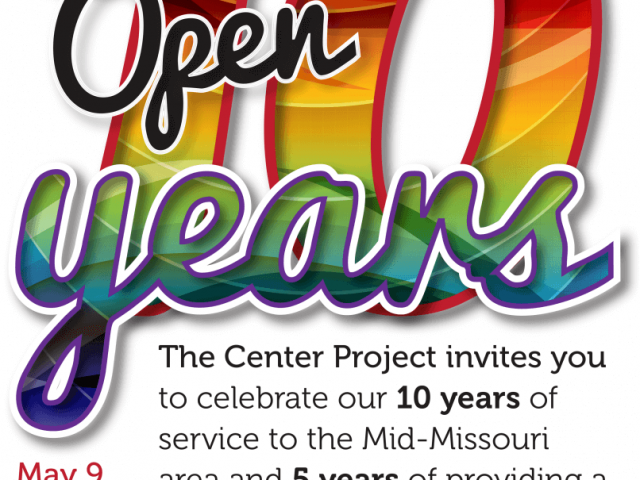 The Center Project, also known as TCP, is a grassroots nonprofit organization and is Mid-Missouri’s only community center focused on the needs of LGBT people. Designed as a safe and open space, TCP supports the under-served sexuality and gender-based groups within the region, including youth, families, and those living in rural communities. 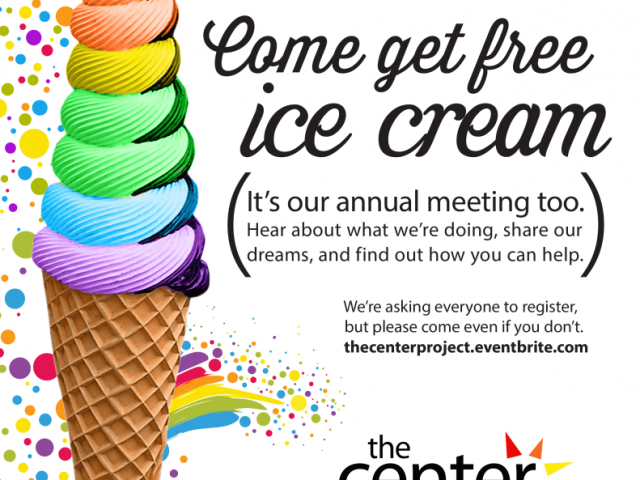 Several organizations use The Center’s meeting space; additionally, health, health equity, and legal equity presentations have been featured events. 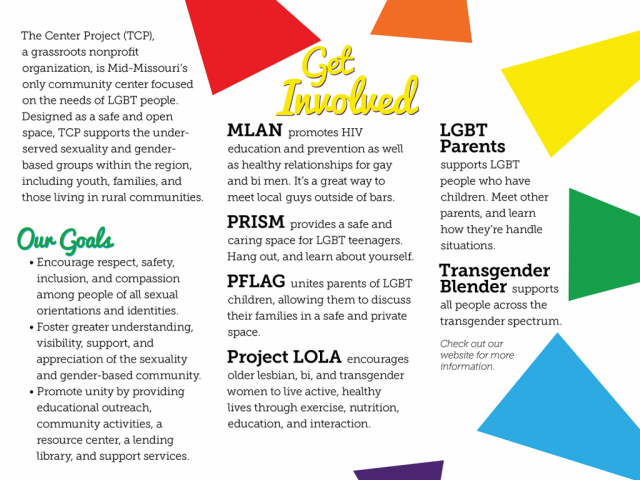 MLAN promotes HIV education and prevention as well as healthy relationships for gay and bi men. It’s a great way to meet local guys outside of bars. 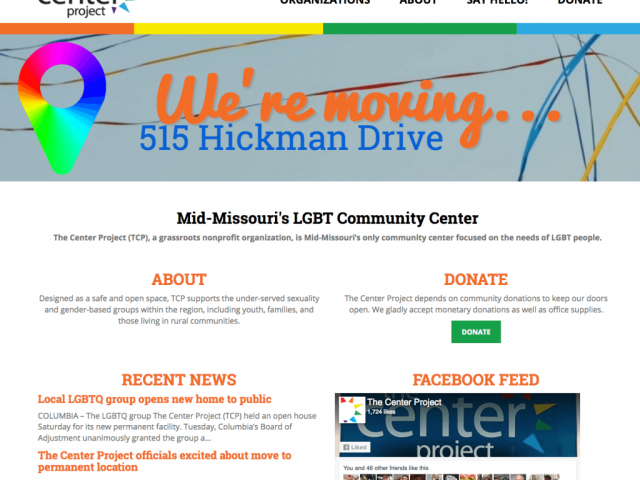 PRISM provides a safe and caring space for LGBT teenagers. Hang out, and learn about yourself. 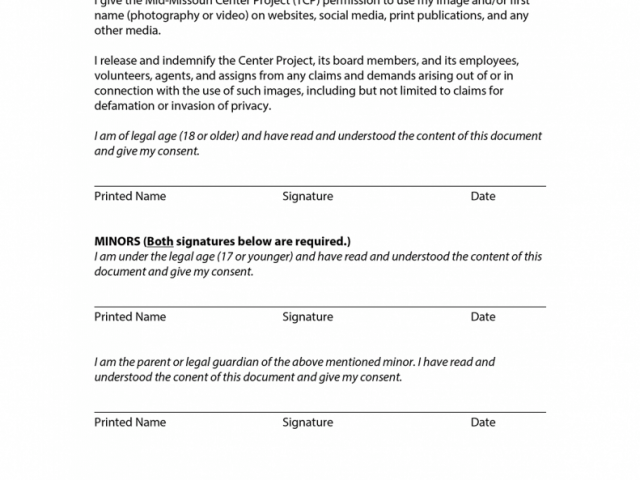 PFLAG unites parents of LGBT children, allowing them to discuss their families in a safe and private space. 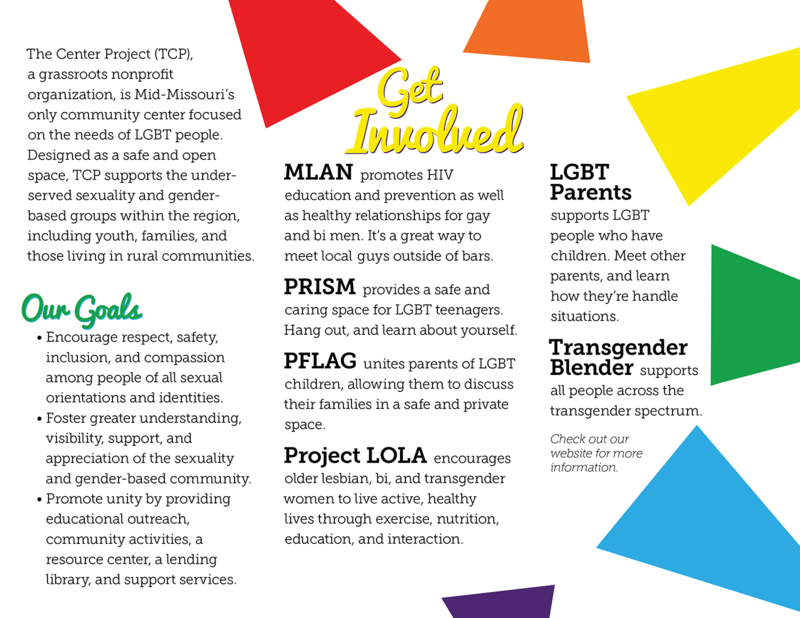 Project LOLA encourages older lesbian, bi, and transgender women to live active, healthy lives through exercise, nutrition, education, and interaction. LGBT Parents supports LGBT people who have children. 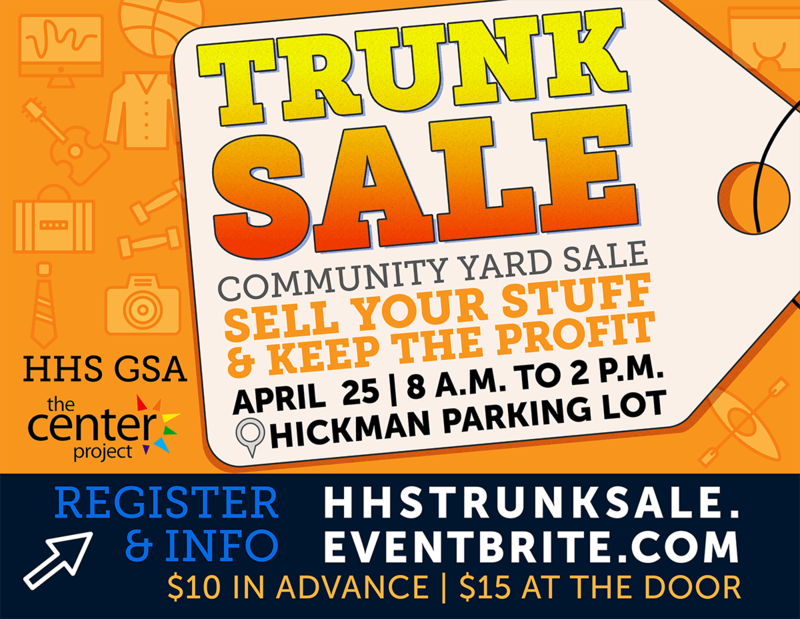 Meet other parents, and learn how they’re handling situations. Transgender Blender supports all people across the transgender spectrum. 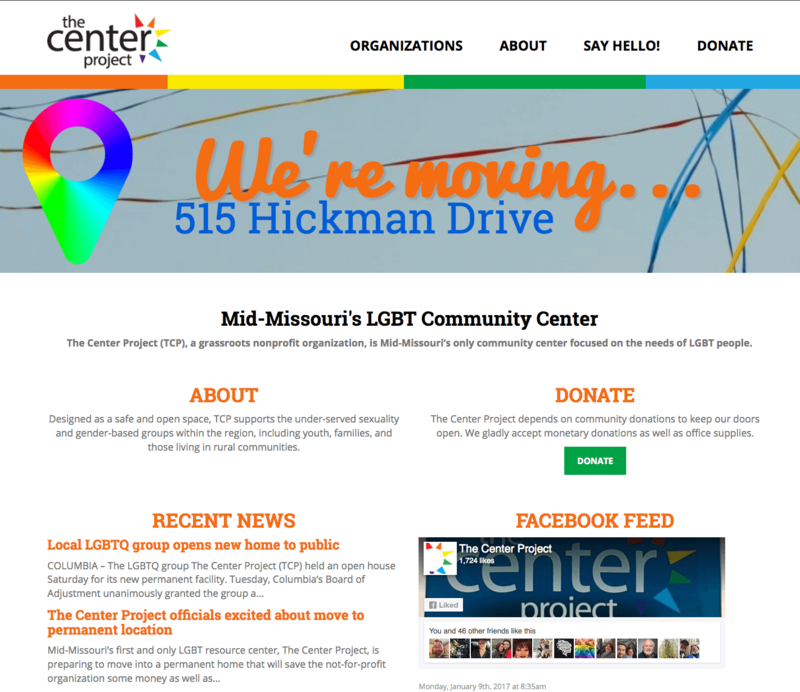 The Center is a nonprofit organization focusing on connecting LGBT people and organizations in Mid-Missouri. First house at the Unitarian Universalist Church of Columbia in 2003, The Center Project first opened the doors to a physical community space on May 9, 2009.